Extremely popular with families due to the varied landscape, fantastic climate and top class amenities, there has never been a better choice of camping sites for your summer holiday products. 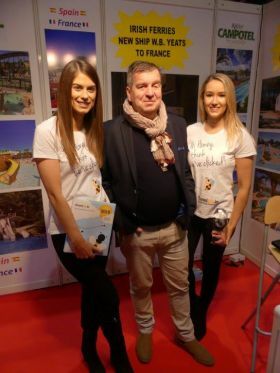 Family favourite Camping Sanguli, located in Salou, Spain will be exhibiting at the show and France’s Campissimo will be the largest camping exhibitor, introducing a broad range of camping holiday options to the Irish market. With endless options to sail from Dublin, Cork and Rosslare be sure to also take the opportunity to visit your ferry cruising partners at Holiday World 2019.